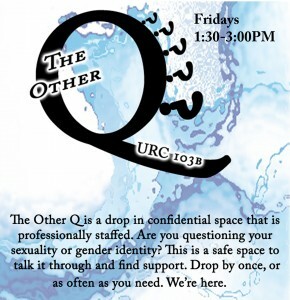 Are you questioning your sexuality or gender identity? The Other Q is a drop in confidential space that is professionally staffed, on Fridays from 1:30 to 3:00 PM, at URC 103B. Drop by once, or as often as you need. We’re here.